Dear Nurse Beth, I woke up to go to work feeling sick. It was too late to call in, so off to work I went. I informed the ADON about my illness and was told that a replacement would be provided and then I would be relieved to go home. Several hours passed, during which I had made several inquiries about a replacement. All went ignored. As my shift passed, I felt worse and worse. fever, headache, sore throat, chills, shakes, all typical flu symptoms. I again went to administration and asked about a relief. I was told to finish my shift. Now feeling very sick and crying I handed my keys to the DON, asked to count and give report and was refused. I clocked out and went home. I was fired and have had my license threatened. What responsibility does the facility have to the sick employee? Can I be charged with abandonment? I had multiple concerns with continuing my shift and felt I was providing unsafe care to my patients. Dear Can I be Charged with Patient Abandonment? I am so sorry this happened to you. Like you asked, it boils down to if you can be charged with abandonment by your state Board of Nursing (BON). Threatening (sick) nurses with their license and/or patient abandonment is a sign of a desperate nursing leader....lacking leadership skills. The short answer to whether you can be charged with patient abandonment is .... probably not. But it depends. First of all, it depends on whether or not your employer reports you to your BON. Unless they report you, there is no way the BON will have reason to investigate. The BON will look at several things while conducting an investigation to determine if patient abandonment occurred. All three elements have to be met before you can be found negligent. Did you accept the assignment, and was a nurse-patient relationship established? Did you provide reasonable notice when severing the nurse-patient relationship? Could the employer have reasonably made arrangements for continuation of nursing care by others following notification by yourself that you needed to leave? Before it can be considered abandonment, a nurse-patient relationship must have been established. A nurse-patient relationship begins when responsibility for the nursing care of a patient is accepted by the nurse. The point at which you received report on your team of patients is when you accepted the patient assignment and the nurse-patient relationship began. In your case, you accepted the patient assignment, thereby initiating a nurse-patient relationship. You notified your employer that you were ill. Not once, but several times over several hours. "I had multiple concerns with continuing my shift and felt I was providing unsafe care to my patients." Working while you are sick is not safe. You are at risk for processing more slowly, and what I call "having the dumb". "Having the dumb" is what I experience when I'm ill. The way I tell I'm first getting sick is that I feel mentally slow, and I have difficulty concentrating. This before I even have aches and pains. I am absolutely not at my sharpest when I am sick or getting sick. Nurses need to be alert and vigilant by nature of their job. Imagine an airline pilot working for American Airlines and reporting fever, aches, and shivering before take-off. It would never be allowed due to public safety. Likewise, nurses should not be confounded by conflicting messages when sick: " Do not come to work sick and expose your patients and others" and "You are subject to discipline if you call in sick." Many nurses, when asked, would admit that they have gone to work sick or tried to stick it out because there was no one to cover. But how many coworkers and patients contracted their infection? Facilities should support an ethical work environment. As to "providing reasonable notice": you did. In your case, the nurse-patient relationship was severed, and you left without a replacement for your patients. Bear in mind that once an assignment is accepted, the nurse is responsible for its completion until responsibility can be transferred to another qualified person. You are not to leave until you have handed off care to another nurse. Severing the nurse-patient relationship without giving reasonable notice to the appropriate person (e.g., supervisor, another nurse) so that arrangements can be made for continuation of nursing care by others is reportable. However, you made every effort for your employer to make other arrangements. "Can I be charged with abandonment?" Patient abandonment is defined as "when a nurse caring for a patient needing professional care ceases to provide care before transferring the patient to another nurse." In your case, there was no one to report off to, despite multiple attempts on your part. In hindsight- one thing you could have done was write out a brief report and hand it to your DON, including a list of what still needed to be done for your patients, and their current status. If this ever occurs to you again, be sure and do this. You ask, "What responsibility does the facility have to the sick employee?" The fact that you gave notice that you were sick and unable to provide safe care shifts the responsibility to your employer. They should have made arrangements to provide a replacement and cover the remainder of your shift if you were not well. It is not your responsibility to staff the facility, and employers have to plan for planned and unplanned time off in order to provide safe patient care services. According to the Joint Commission, employers, not individual nurses, have the responsibility to ensure the continuous and timely availability of nursing services to patients. Employers must provide competent staff to ensure necessary patient care in routine situations. No nurse ever wants to abandon a patient or plans to abandon a patient or entire patient assignment. In your case, the BON would look at the mitigating circumstances, including your employer's refusal to provide a replacement after notification on your part. You say you stayed at work several hours, and notified them several times that you were ill and needed to go home. It seems reasonable that your employer could have found a replacement for you in that time and with that much notice. Please keep us updated. I sincerely hope you have found employment in a better environment, with an employer who respects and values you. It is always best to call off rather than to accept an assignment you cannot complete for this exact reason. sdwmb works as a home health. Log onto your state boards website and do a search. The Ky BN would not consider this abandonment as you fulfilled the following requirements. 2. Exhausting all reasonable and prudent efforts to place the care of the patients in another nurse's care. 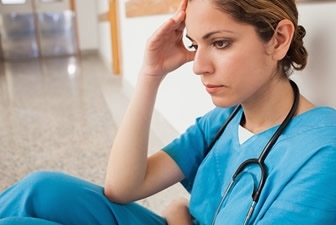 "While it is difficult to specifically state when abandonment occurs, it is clear that abandonment does not occur when a nurse who cannot practice with reasonable skill and safety leaves an assignment after fulfilling the two obligations stated above." nursecatRN has 5 years experience and works as a RN. Although I would not have left that way I would have told my don, well I need to lay down for an hour then please watch the patients.. Maybe they'd get the point. I'm so grateful to work with kinder people.. If one of us is sick, others will step in and help so the I'll person can go home and patients will be safe. I would say yes because you simply handed her the keys and walked out. If they are nasty enough to report you they will also lie and say that you never requested relief and just walked off. This happened to a co-worker at my first nursing job and she was reported to the BON She did receive a discipline although I'm not sure what it was since I didn't keep in contact with her. OP could have gone directly to ER in her uniform where they would have documented her fever at the very least. Asked for IV hydration and returned with a bag hanging (j/k)? It would help support her claims. She also could have called the house nursing supervisor to reach beyond the local poor management. Or, she could have laid down in the hallway and waited for the Angels to take her - which is the most likely scenario when one is sick and cannot self advocate... Honestly, what a mess that a woman could lose her livelihood for the crime of being sick. What kind of society do we live in? Also, could OP turn it on the head and come back with unlawful termination? When my nurses come to work sick, I send them home. If they get sick while at work, no that does happen, I send them home. If I have to take her patients, then I do. That is ethical and what should have happened. So sorry. I hope you are okay. As you made every reasonable attempt to cover the rest of your shift including giving report and the keys to the DON, who is by the way a nurse that should be perfectly capable of taking over in an emergency like this I can't imagine any state would find grounds for calling this abandonment. Sounds like you are well rid of this place! Just a stupid and totally rhetorical question...why didn't the ADON that promised you a relief or the DON that you eventually resorted to handing the keys to take over? Sheesh! Maybe it would've been more effective if you had just vomited on one or the other [or both] of them. Just kidding there, I think. calivianya works as a Registered Nurse. I'm a little more pessimistic than some of the other posters, I think. I've always been told that if no one accepted report from you, the patients are your responsibility. The DON refused report. Therefore, I would say that is patient abandonment. I have had times where I got sick during my shift and stayed because I couldn't find anyone to cover. My brain is going to be slower, for sure, and I hate it for the patients... but I can't pay my bills on minimum wage either, and I'm not really qualified to do anything other than be a nurse. I have to take care of myself, too, and taking care of myself includes providing myself a place to live and a way to pay my car payment. I remember being so sick and coughing at meeting where the DON was yelling at everyone for calling in sick ( everyone had the flu) This was when flu vaccine not readily available and in nursing school I was taught that you had to go to work sick and never left your patients without relief. That was back then. Now if I am ill I don't want to pass it to my patients or co workers, also I want to make good judgement calls. You can't do that sick. and I hope you find a job soon!